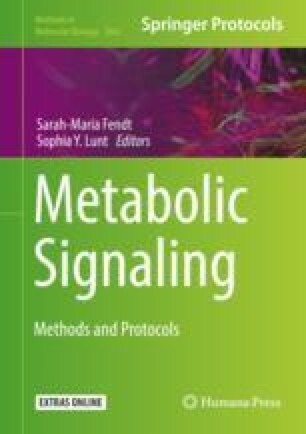 In this chapter, we present an experimental protocol for the targeted metabolic profiling of full cells and mitochondria in selectively permeabilized cells. Mitochondria of adherent cell cultures are made accessible by the addition of digitonin—a compound that selectively permeabilizes the cytosolic membrane without affecting mitochondrial integrity. The generated in situ mitochondria are subsequently used in a stable isotope labeling assay in which their metabolic fluxes can be analyzed without any interfering influence originating from cytosolic components. The protocol is complemented by oxygen consumption measurements of permeabilized cells on a Seahorse XF instrument. The additional data on mitochondrial respiration can be used to validate the functionality of mitochondria in the applied setup but are also a valuable add-on to the stable isotope labeling data. We would like to thank Prof. Ferdinando Chiaradonna for careful revision of the manuscript.